I've been doing this online radio thing since 07, and for the last year, we've been profitable, and we don't run a single audio commercial. - Last month I grossed over $600, which isn't going to allow me to quit my job, but it more than pays for my expenses, and it lets me give my wife a little folding money to keep her off my back. Here's how I do it: NOTE: I use wordpress for my website, but I hear Joomla will allow you to do about the same thing. 1: Content Content Content. I spent 2 years writing reviews almost every day, mostly about the music I was playing. When I put a new song into rotation, I wrote a review on it. When I started making enough money, I started hiring writers to write reviews. Now, I have someone writing music news. You can find music lovers to write fairly cheap, and it frees you up to do other things. But I am consistently adding new reviews, news, and whatever else I have time to put up. 2: SEO. I learned SEO from an honest to god guru, but its not that difficult to get the basics to work for you. Music is especially easy because its pretty much artist and title for the title, tags, and more. You aren't trying to write the artist and title over and over, just natural writing does the trick. Wordpress has a All-In-One SEO plugin that really helps. I link out to other sites that are about the subject I'm writing on, and I link other posts on my website as much as I possibly can. I'm on the front page of google for online country radio, listen to country music, and occasionally country radio, but I get most of my visits from the song reviews (I got over 2500 pageloads yesterday, maybe 5% came from radio related terms). Google george strait rolling on the river of love See where Dixie Streams is? 3: Proper Placement of Advertising. 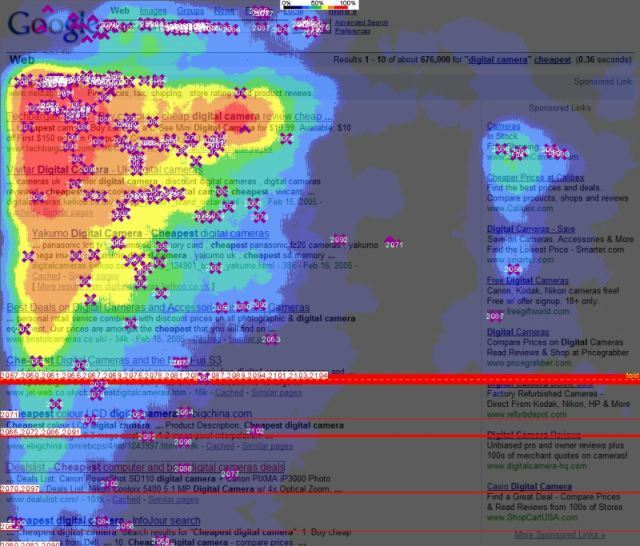 Look at the Google Heat Map - http://inspiredimpressions.files.wordpress.com/2006/04/Google%20heat%20map.jpg. It shows you where people generally click, they call it an F shape. I use adsense and place a small ad under the title, and a bigger ad inserts itself after 30 days. These 2 ads account for about 40% of my gross, and they're simple text ads. I'd like to know if anybody else is doing something similar or in a totally different direction, and actually makes money doing it. A very informative and useful post. And hopefully an encouragement to those wondering if radio websites can indeed make a bit of cash. Thanks for sharing your experience and opinion. I think I would definitly agree, that the money is in the website. Websites are pretty easy to make (some) money off, especially with affiliate platforms and stuff like adsense. There just isn't really anything like that for the radio station. The other problem with the station is, that most stations don't have massive followings (compared to an FM, DAB, etc, traditional station) and the listeners could be anywhere in the world which may make it a little harder to offer a targeted campaign. It is also much easy to monitor traffic from a website to another, rather than from a station to a website. Replaceads does offer targeted radio ads, mostly pre-rolls that are not targeted, but from international companies, but there's no adsense for radio yet. I'm not sure I'd say websites are pretty easy to make money off. I struggled for a year to make $10 a month. The answer is multiple pages with properly placed ads. Hey, congrats on your success! Nice post, you have put some good effort into it! That is extremely informative for people just getting started with their own radio stations. Thanks for the information. I've been wondering how some people are doing better than me. I have been wanting to improve my show for a while and this information seems useful for my next shows.